Piled next to the green burlap, I had this red also stashed away. 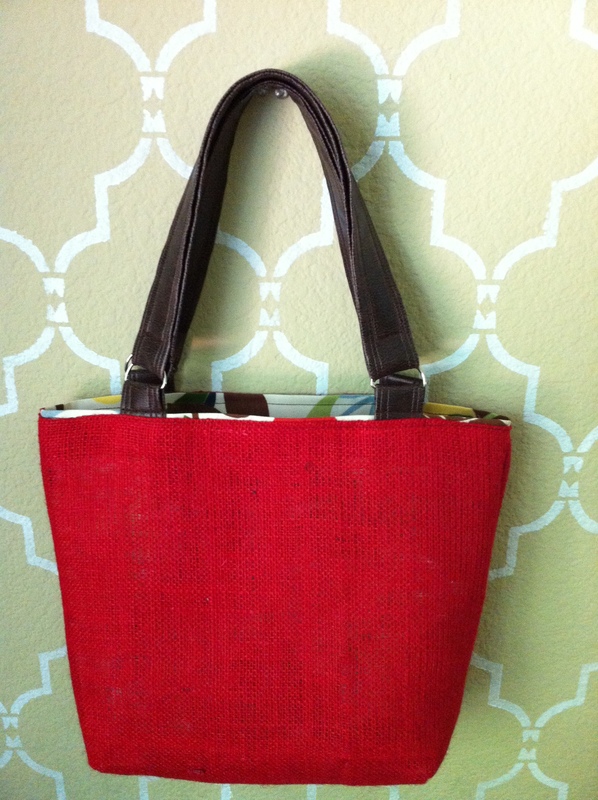 I was very excited to do a tote with this bold colored burlap. Like the green version, this one was also fully lined with a gorgeous canvass floral print. The faux leather straps were a perfect companion once again. Unfortunately the story of this bag does not end on a good note like the green one. This bag was a gift for my mother in law, I was happy she was excited about it. She took it out the very next day to show it off and to her dismay, the red burlap actually stained her clothes!! I was mortified when she told me the news. Seems as though the super bright tint of the burlap is transferable to anything rubbing against it =( I was super sad I would have to discontinue the use of the red burlap. I was able to rescue most of my work by replacing the outer red shell with the green burlap. Luckily the floral lining looked great against the green fabric. Crisis averted! Shame about the staining as it is such an amazing colour. In general I think these bags are great! I wouldnt have noticed that you used fake leather! 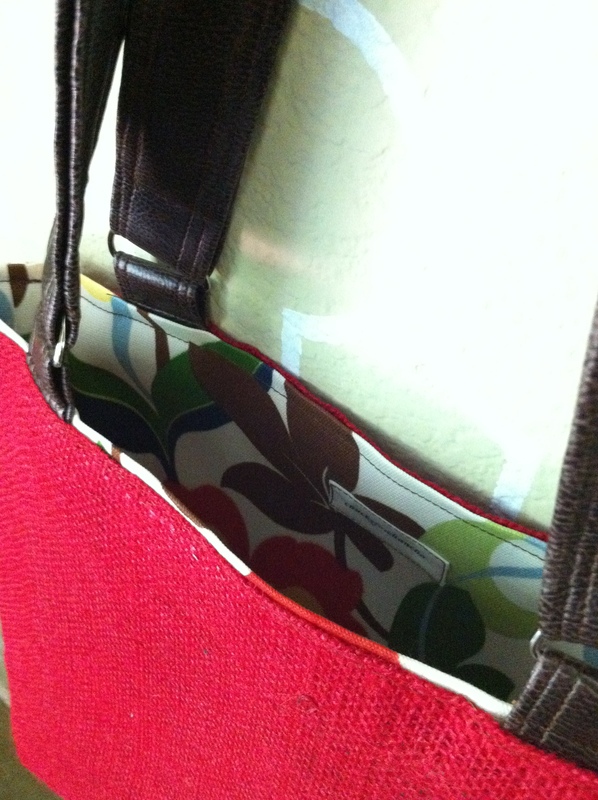 Great idea using floral lining too! I love these bags. Simple, effective and a touch of elegance. Was it difficult sewing the handles in. Ive never worked with faux leather. Was size needle did you use? My mother used to pretreat (washing) all red fabrics by soaking them in a water and salt solution. She would do that until it no longer bled. I try doing it, I don’t have a formula, I just keep adding the salt (Mortons). Anyway, you may want to give it a try. Thank you for the lovely comments! I practiced a bit with the faux leather to get comfortable working with it. The tutorial link was VERY helpful. I used the standard leather needle for my machine. Picked it up at Joann’s in a little pack of 6, I dont remember if there were even size options for that type. I should try pretreating next time! Thanks so much for the tips! LOVE THESE LOVE YOUR BLOG just found you. 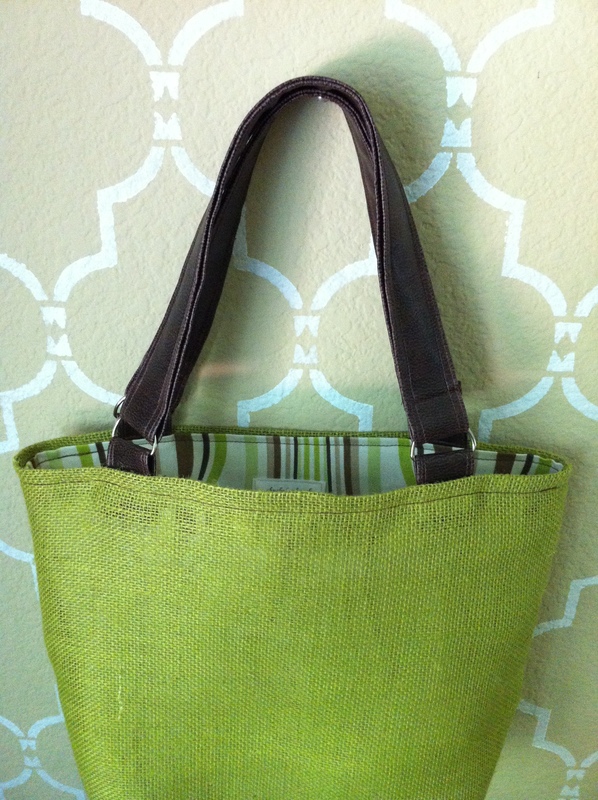 Do you share your Patterns for these bags? or do you sell them?